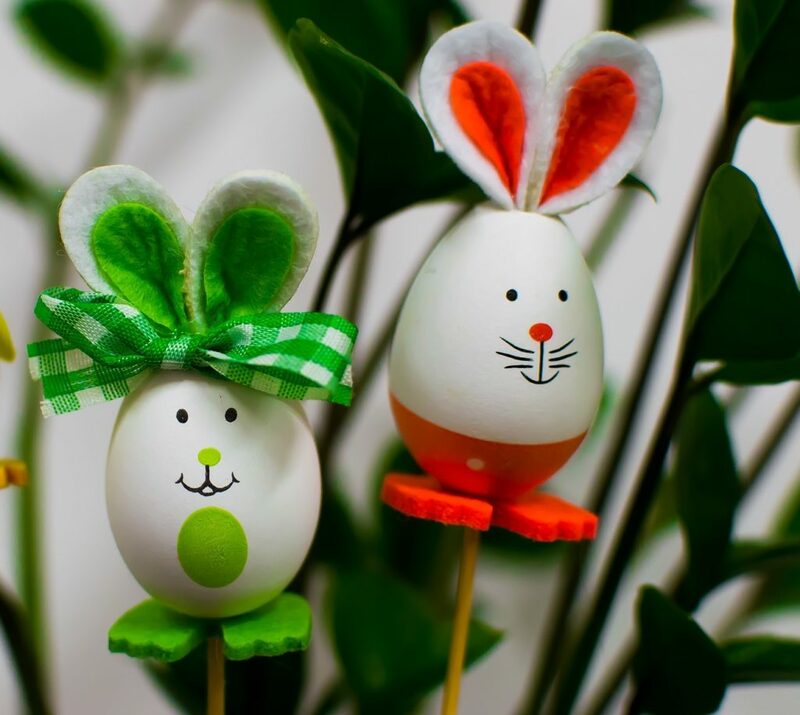 Whether the kids are entering a Decorated Egg competition at school, or you just need something to keep them entertained over the school holidays, decorating eggs is always fun! 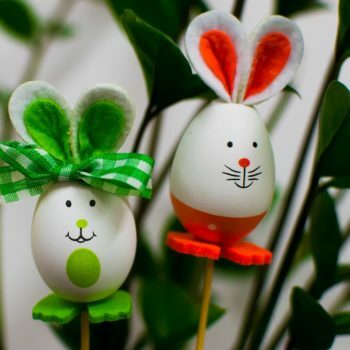 Here are some ideas you can easily recreate at home! All kids love a Mr Potato head so why not try Mr Potato Egg! 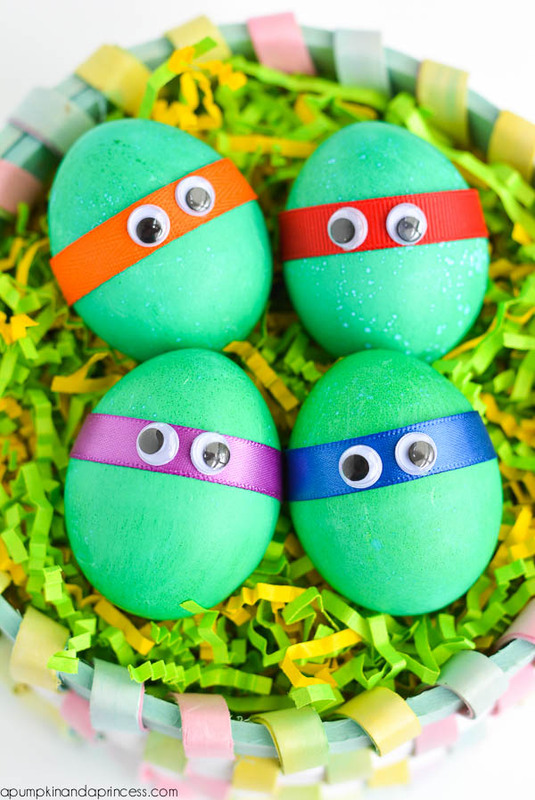 Use felt shapes and even some googly eyes! This idea is super simple. Paint on the costume/trunks. Add a milk bottle top as the goggles and a straw for the snorkel! Rub with oil to make them shiny once they are nearly cold. 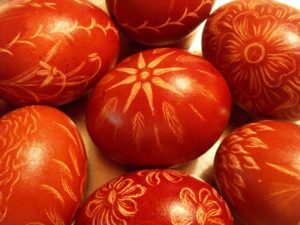 If you would like them patterned like the photo -draw on them with light coloured wax crayon, before boiling. 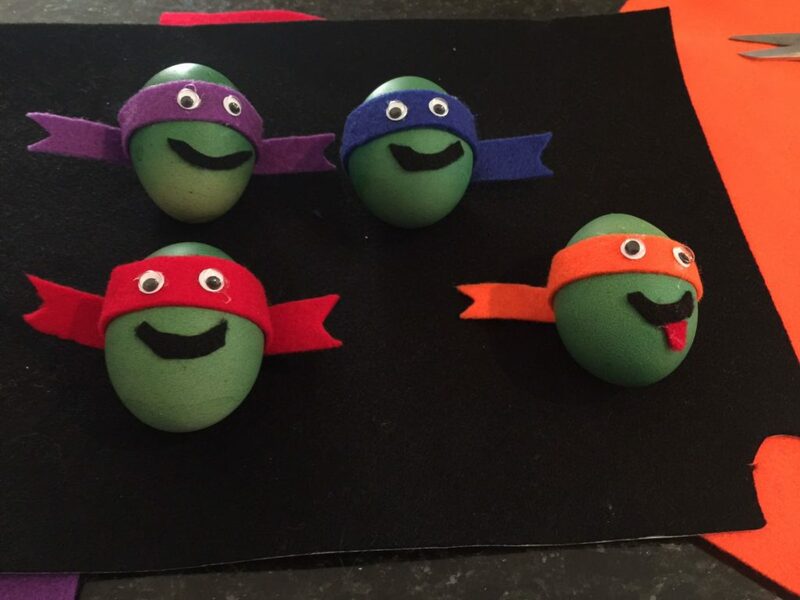 Super Simple eggs for any TMNT fan out there. 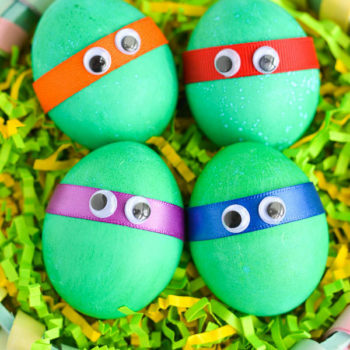 Either add green food colouring to the water for boiling or paint the eggs green and add coloured paper or felt strips and googly eyes! How can you pick your favourite emoji? Well with this one you don’t have to! 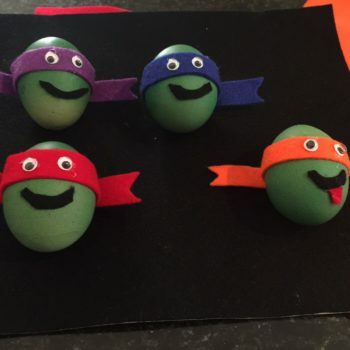 For emjoi eggs, all you need is yellow & white paint and felt pens! 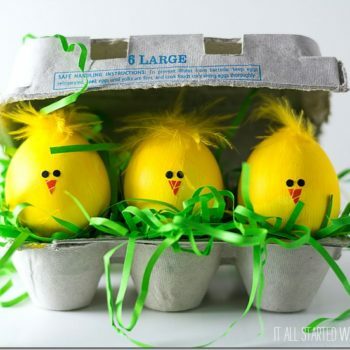 How cute are these egg chicks! 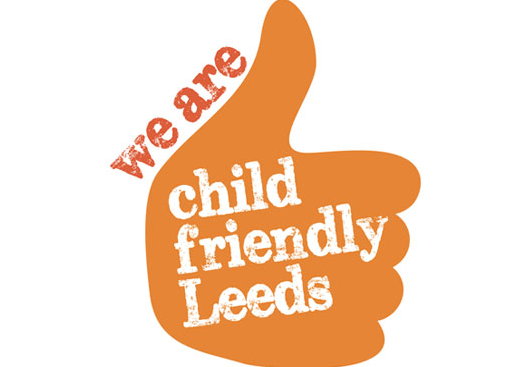 Perfect for a school competition entry. 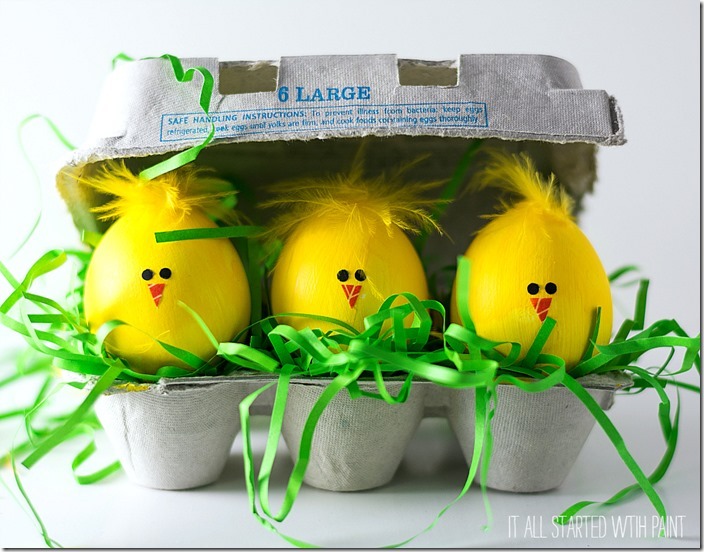 You can pick up yellow feathers and shredded green paper from a local craft shop. One for the sports lovers out there! Cut out your shirt shapes and add the design of your favourite teams. 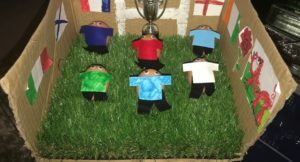 Draw faces on the players and position on either astroturf or grass inside a box. The box can then be decorated with posts and flags and maybe even a crowd! This can also be adjusted to football or hockey! 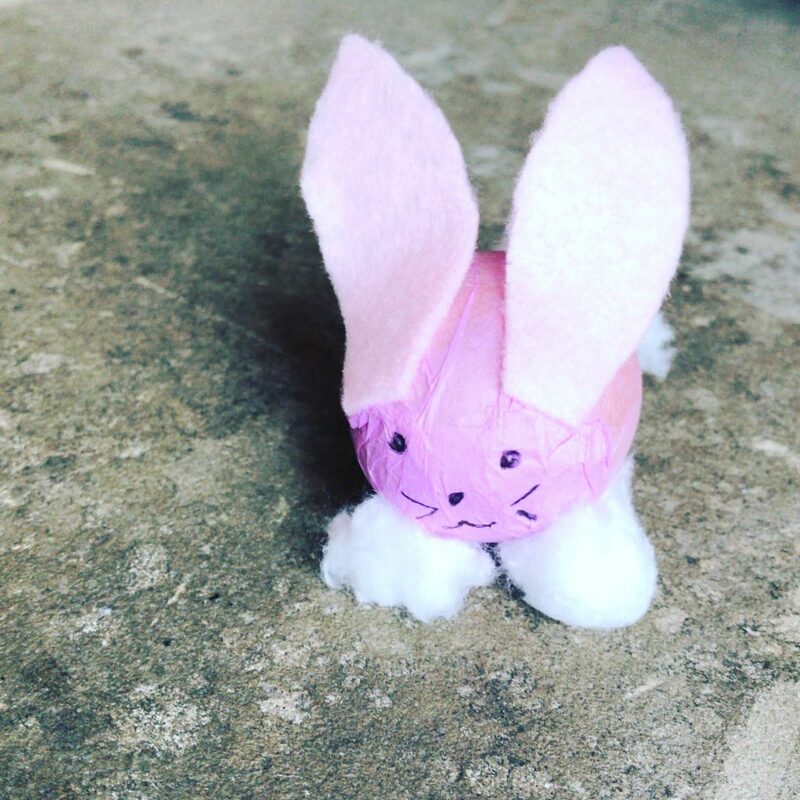 A great one for an Easter theme, simply paint the egg white and add felt feet & ears and then add the fine details using a pen. Use cotton wool for the Bunny tail! You can also use tissue paper to cover the egg!